This Cowboy Pasta Salad Recipe Is A Definite Crowd Pleaser! The Mexican cuisine is highly popular because of its versatile flavors and dishes appealing to many palates. At the same time, it is notorious for lacking nutrition and for having an over-load of calories. 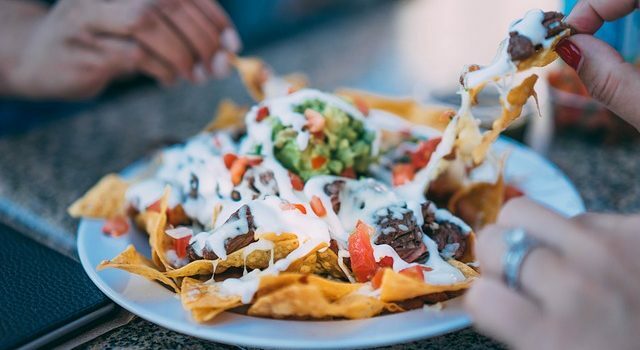 Although, as unhealthy as it can be, we are all guilty of indulging ourselves with an occasional burrito, a quesadilla, some nachos or churros etc. But it does not have to be like that. You can still enjoy your favorite Mexican dishes and look after your health too with these two very popular Healthy Mexican Recipes. Loaded with veggies and home-made cheese sauce, these Nachos will tantalize your taste buds. 14-Ounce refried black beans, 1 can. Multigrain tortilla chips, 3 oz. Chopped cilantro and crumbled cotija cheese for topping. Shredded cheese of choice, ½ cup. Let the grill preheat on a medium heat. In the meantime, wash, pierce with a fork and then wrap sweet potatoes in a paper towel. Microwave them for almost 4-5 minutes, cool and slice them into wedges. Toss them with olive oil, cumin, chili powder, salt to taste and grill them on each side until they are roasted. In a saucepan, melt the butter and add the garlic to it. Sauté it for 1-2 minutes and add half of the milk to the pan. Let it simmer for a bit, mix the flour in the remaining milk and add it to the saucepan too. Stir until it is smooth and thick then take it off the heat. Whisk in the cheese and salt until it melts. For the assembly, heat the refried beans in a pan or microwave them and dry roast the sweet corn until golden brown. In a dish layer the tortilla chips, top them with the sweet potato wedges, the beans and the roasted sweet corn. Finally drizzle the cheese sauce over it and top it with cotija cheese and cilantro. 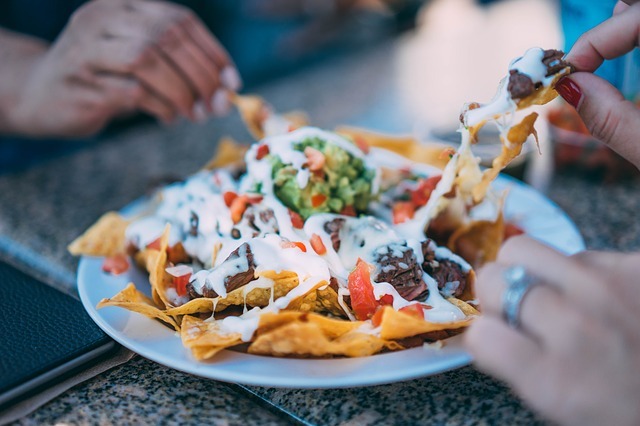 Healthy Mexican Recipes can be indulgent too, try these Healthy Nachos and you will know for yourself.